You can buy half a kilometer of 3″ Studrail for only £833. Studrail horse fence eliminates the rot and decay problems associated with wood solutions and eliminates problems that come with a horse chewing or cribbing a wooden rail. (Horses do not like to chew Studrail.) Because we use high quality materials with UV stabilisers the horse fence colours will not fade. A timber fence is a solid barrier and as such can become the source of impact injuries. Studrail has a degree of flexibility and strength that will withstand impacts without breaking. 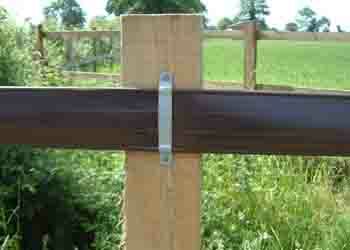 Studrail is held in place on the individual posts with brackets which allows it to flex in event of impact protecting the fence itself and it will cushion the impact for the animal. 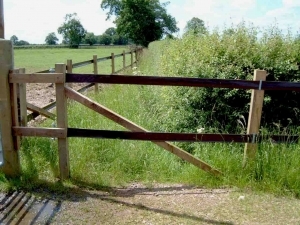 Unlike wire fence both the 3″ and 4″ versions of the horse fence are readily visible which will help to prevent accidents. These factors offer greater safety for the horse and greater peace of mind for the owner. 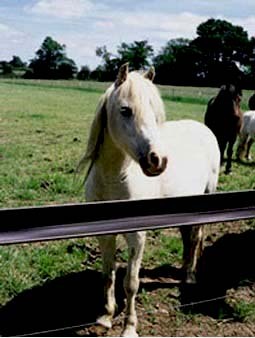 Studrail horse fence is made from extruded flexible PVC with two strands of wire at the outer edges. The high tensile wire provides the strength and is used to tension the fence. 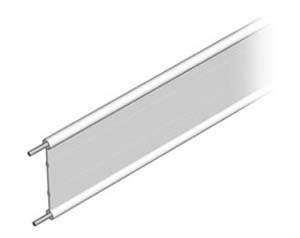 The PVC provides the visual appeal of a continuous rail and delivers low maintenance. It is available in two widths 3″ or 4″ (They are both equally strong) and two colours white or dark brown. If you like the wisdom of crowds – We sell 75% 4″ Studrail and 25% of the 3″. We sell 70% in brown and 30% white. The 4″ rail is generally perceived to look better. Studrail is a tried and tested product. It has been manufactured here in the UK and in use since 1984 and we have not had any problems with material failure. The safety record is good too, where we have had reports of horses running into a Studrail fence in each case the horse has bounced off. Extruded using flexible PVC with two strands of wire at the outer edges; using “welvic” or “Hy Vin” PVC Cable Compound and Tinsley “Sentinel”, high tensile 2.50mm galvanized fencing wire to B.S.4102:1990. Packed in 100 Metre and 50 Metre coils. Overwrapped with polythene. Available in two sizes 3″(75mm) or 4″ (100mm). Colours – White and Brown. 100m of 3″ studrail weighs approx 40 kgs and 100m of 4″ studrail weighs approx 48 kgs.